This is our flagship range of jewellery which combines hand crafted silver jewellery and embroidery into an exciting new collection. 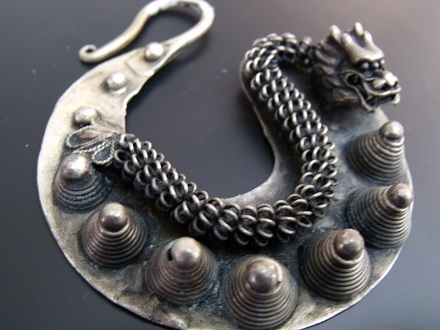 Since each piece is entirely handmade, they are very individual and unique. 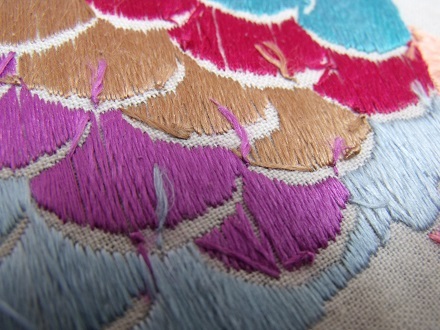 In addition to our FUSION range, we also source a wide range of traditional embroidered goods and artwork. 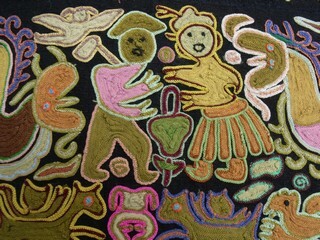 All embroidery featured on this site is created by hand. 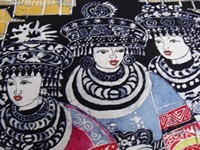 The designs are intricate and created by very skilled ethnic Miao artisans. 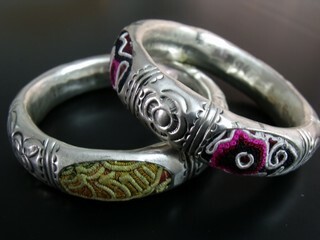 Miao Silver Jewellery is highly valued and sought after by discerning buyers in China. 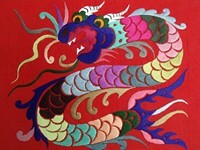 Videos of China, Miao people, places, arts & crafts. 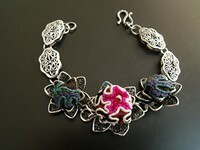 These are our own original creations, and copyright of Miaocrafts. Trade enquiries are welcome. Click the Contact Us tab at the top of this page to request further information. 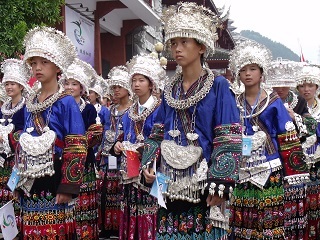 The Miao are an ethnic minority group of people in China. They inhabit mainly the southwest region of the country. They are also found in the northeast of Thailand, where they are known as the Hmong. How do I know these are really embroidered by hand? Simple! Turn the material over and examine the reverse side. Machine embroidered designs look too "perfect" on the reverse side, while hand-embroidery will generally appear more haphazard, reflecting the individuality of the artisan. We no longer sell direct to the public and our online store is now closed. © Copyright 2013-2019, Miaocrafts. All rights reserved.